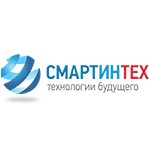 SmartInTech company was founded in 2005 for development and production of vehicle monitoring systems (GPS/GLONASS trackers). The core of the company is composed of the leading engineers and experts in M2M and wireless communication technologies as well as skilled employees. The company is headquartered in St.Petersburg, Russia.